Florian was born in June 1950, the third of five brothers, to an English mother and a Polish father who was a fighter pilot during the war. Florian was educated at Eton. Not being particularly academic, he spent most of his time in the art schools or playing drums. After Eton, Florian attended Hammersmith Art School. However, he could not settle for life as an artist at that time and influenced by his parents nearly joined the army. He was accepted by the regiment of the 11th Hussar’s, but in preparing for this realised it was not the direction he wanted to go. Eventually, at the age of 19, Florian joined Curved Air as the drummer. Over the next five years they played all over Europe and did three tours of America, which he describes as an amazing experience. Florian plays on ‘Air Conditioning’, ‘Second Album’, ‘Phantasmagoria’ and ‘Curved Air Live’, ‘Alive 1990,’ ‘Love Child’ and ‘Reborn’. After leaving Curved Air in 1975, he played with Kiki Dee, Al Stewart and Duncan Browne. In 1981 thinking it would be a kind of natural progression he invested in and ran a recording studio called Silo Studios in Middle Row, London, which he eventually sold, having found running a business wasn’t enjoyable or fulfilling. In 1993, Florian met his wife Christine and moved from London to the South Coast,. It was also at this time that he became more spiritually aware and had some very beautiful experiences as a result, and began expressing this through the medium of sculpture. 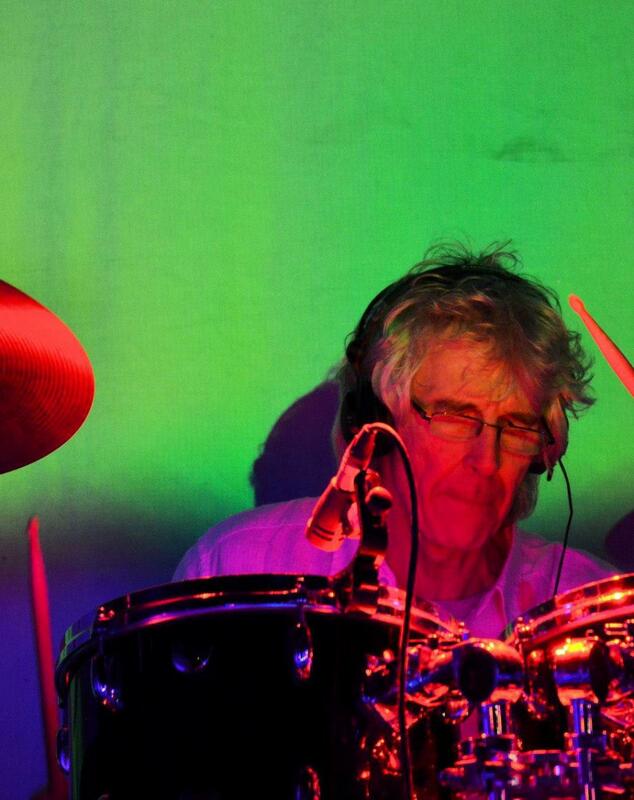 He continued to play drums creatively with original Curved Air guitarist / keyboard player Francis Monkman over many years. A recording “Jam” of their free musical collaboration is available on limited edition. Florian is really enjoying his return to touring and performing with Curved Air and the experience of playing with great new musicians, and he feels the band is as strong as ever.